To kick off the 2010 Geothermal Energy Expo in Sacramento, California, the Geothermal Energy Association (GEA) released data which shows that new clean geothermal power plants poised to come online will create thousands of jobs in 2011. As part of the Expo's press preview, the GEA "Green Jobs through Geothermal Energy" report found that the US federal stimulusand tax incentives had a direct affect on job creation and new geothermal energy projects finding that every 2009 project took advantage of the stimulus bill. The report also found that four of the top five states with geothermal power projects underway have high renewable electricity standards and mandates. According to GEA reports not only is the geothermal industry creating more permanent full-time jobs than conventional energy but it also is paying higher wages. To help feed the emerging job market the GEA created “US Geothermal Education and Training Guide” outlining 22 undergraduate and graduate geothermal related programs offered at US colleges and universities. Under the US stimulus legislation, the GEA expects that 2011 will be a "high-point in geothermal activity." 95 percent of the projects receiving funding from the American Recovery and Reinvestment Act (ARRA) of 2009 have either yet to break ground or are only half way complete. 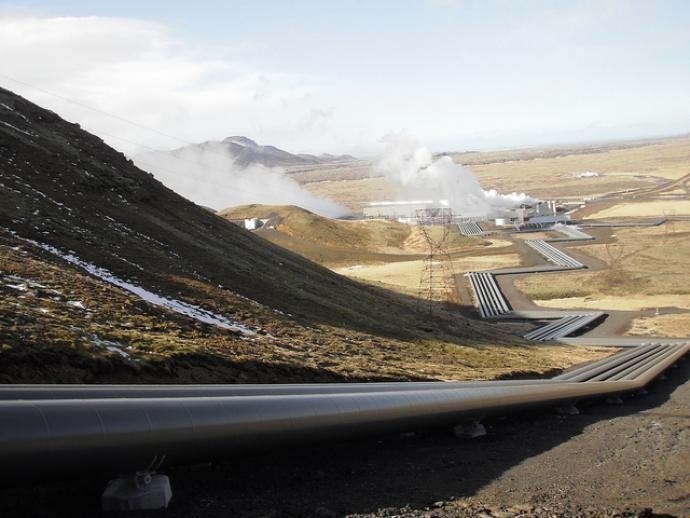 With 500 to 700 MW of power expected to enter final phase of construction next year, the geothermal industry is growing fast and picking up momentum with the help of state and federal mandates and incentives.